As I have done with the other events I have recently unwound for you, I will present you with the clues you may have missed so far. If they jog something in your head, great. On the other hand, if you prefer the mainstream story, feel free to keep it. I no longer have any use for it.Instead of looking at this event through the eyes of the controlled media, here you will be forced to look at it through the eyes of a real investigator. I will circle and highlight the things you may have missed the first thousand times. I will show that you missed them because they were surrounded with noise and flashing lights. You couldn’t see them or hear them in the smoke and din. Here we will ignore the circus and just look at the facts.We will start at the very beginning. 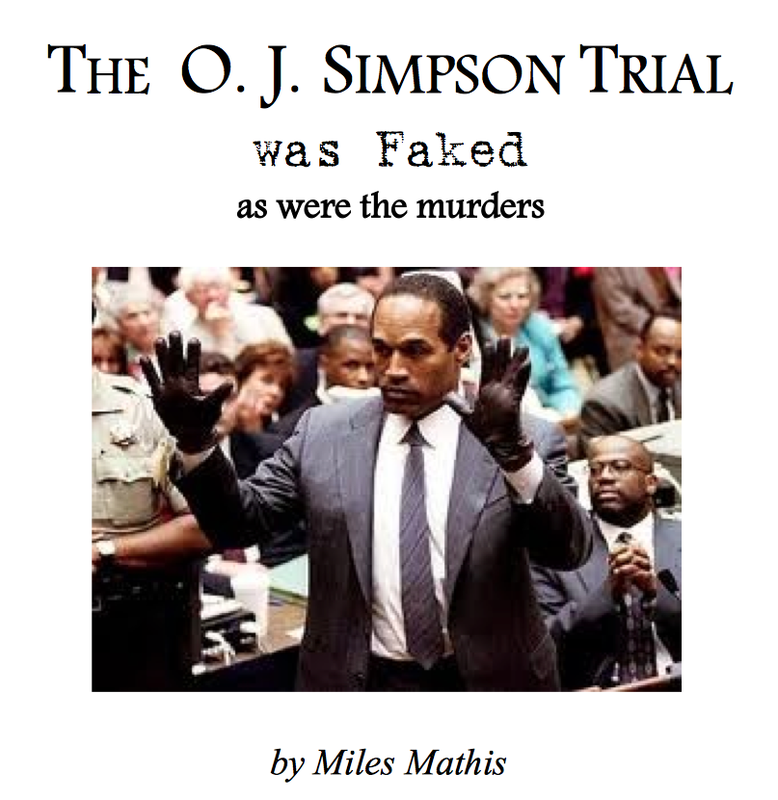 Orenthal James Simpson was born in 1947. What else was born in 1947? That’s right, our old friend the CIA. This early in the investigation, you will no doubt dismiss that as a coincidence. Later, you won’t. After his famous career as a football running back, Simpson went to Hollywood to become an actor. Who runs Hollywood? That’s right, our old friend the CIA. Consult my paper on the Manson murders for more on that: I won’t cover all that evidence again here. Lex means law in Latin, and Intelligence sees itself as A LAW unto itself. It does whatever it wants, including faking murders and faking trials. If you don’t believe that, I suggest you read my other recent papers before getting any further into this one, including the papers on Manson, the Zodiac, the Unabomber, Watergate, Johnny Hovey, Lennon, Lincoln, Walt Whitman, the Beat poets, and Hemingway. This paper is just a continuation of those, and can’t be fully appreciated without them. OJ Simpson was in it, and Robert Blake was in (Hyams’ first feature) Busting. I’ve said many times: some people have AFI Lifetime Achievement awards; some people have multiple Oscars; my bit of trivia is that I’ve made films with two leading men who were subsequently tried for the first degree murder of their wives. Another strange coincidence, right? Nope. When you finish this paper, you can take another look at Robert Blake as well. Keep reminding yourself that all these people are actors. You are watching a play. They were hired to fill a role, as in their other jobs. The CIA hires pros just like anyone else would. All the people in the Tate/Manson event were actors. Remember what the assistant district attorney in the Manson trial said about Susan Atkins: “She’s better than Sarah Bernhardt.” Well, Simpson wasn’t better than Lawrence Olivier, but he did his job. He probably fooled you. Yes, the government might be corrupt enough to plan something like this, but they could never get away with it because too many good and honest people (like Elliott Gould) would expose it. It involves too many uncontrollable factors and unpredictable outcomes for any agency to get away it. 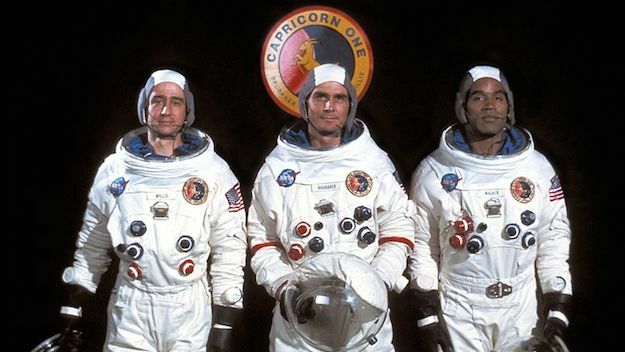 At the end of Capricorn One, the hoax is exposed. That is the crucial element of the film, not the hoax itself. Just as with Watergate, these things eventually come out of the dark. Or this is what the audience of Capricorn One was meant to conclude, and most of them did conclude just that. They thought that they had gotten to the bottom of Watergate with Nixon’s demise, and they were assured by Capricorn One that if something fishy had gone on with the Moon Landing, that would also come out eventually. The fact that nothing did come out on the Moon Landing, either before or after 1978, seemed to confirm to most people that the Moon Landing was real. This is the go-to misdirection to this day, for all conspiracy theories. After 911, they used the same misdirection, leading most debunkings with the idea that with so many people involved and so many intangibles, secrecy could never be maintained. That’s nonsense, of course, but it fools most people. Most people don’t want to believe in faked events, so they are pretty easy to deflect with false reasoning like this. The truth is, secrecy isn’t maintained. There are leaks, and many people know the truth. Others find out the truth. But that doesn’t matter because total secrecy isn’t necessary. All that is necessary is that the leaks aren’t reported by the mainstream press. As long as the government and press stonewall and deny, the majority of people aren’t going to move past a certain point. The CIA learned a long time ago that a small percentage of activists can be ignored, because the masses won’t follow them. Most people will follow the majority, no matter where it goes. That is why it is called the majority. Because of that, Intelligence only needs to manufacture the majority opinion. In other words, the majority of people don’t even need to believe something, they only need to be told that a majority believe it. That is enough to stop them from acting on their own beliefs or suspicions. The government doesn’t poll the public to discover a majority opinion, at least not on important topics. The government just creates a majority opinion and publishes it. Most people then believe it—or at least believe it is the majority opinion—simply because they saw it published. Even if they don’t share the opinion, they believe they are in a minority, and therefore powerless. You see, in this way, the governors can cleverly stop majorities. To stop a majority, all you have to do is prevent it from realizing it is a majority. In a so-called democracy, this is enough to stall it, since people have been taught from childhood to bow to greater numbers. If you get outvoted, you are supposed to back down. So the governors simply tell a majority it is a minority, and it immediately loses steam. For example, I think a majority of real people now believe 911 was manufactured in some way, but even when the mainstream reports on this “conspiracy theory,” they report that some minority of kooks believes it. The word “kook,” with any number under 50% is enough to stall most people. Most people won’t even think of getting off the couch until the number hits 51%, and even if 100% of everyone they have ever talked to indicates they believe it, they will still be stalled if the media tells them they are in a minority. They will believe the media over their own eyes and ears. But back to Simpson. 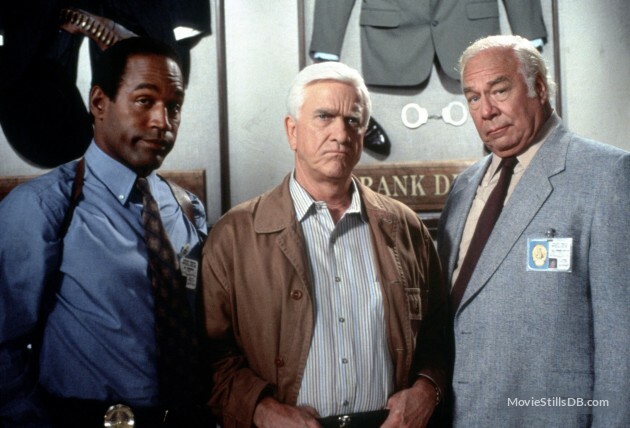 He was also in the last three Naked Gun movies, including Naked Gun 33 1/3 : the Final Insult. That title alone should have always seemed curious to you, seeing that the previous movie was Naked Gun 2 1⁄2. To continue the logic of that joke, we should have gotten Naked Gun 3 1/3. We are told that the 33 1/3 is a reference to the speed of a vinyl LP, but I don’t see the joke or the connection there. What does a vinyl LP have to do with anything in the movie or the title? The reference isn’t to a vinyl LP, it is a reference to numerology, which Intelligence loves for its own reasons. We have seen the number 33 coming up over and over in these faked events. And we find it coming up again in this one a bit later, when Simpson is finally sentenced to 33 years for assault and robbery in 2008. The opinion of this journalist Tom Jicha should be highly suggestive to you, and I suggest we linger on it a while. It is the sort of thing you would expect to be whitewashed off of Wikipedia, so my assumption is someone is trying to give us a clue here. It looks like it was inserted on Wiki more recently, when the Wiki police were no longer on full alert about the Simpson trial.